The University of East London (UEL) aims to be London’s leading university for civic engagement, deepening your learning experience by giving you the chance to work on real-life projects at home and abroad. We are committed to making a difference to society through world-class, high-impact research and by fostering confident, life-ready individuals capable of achieving extraordinary things for themselves and their communities. We are pioneering new ways of learning, giving you the richest possible university experience and skills that will maximise your career prospects. The University of East London offers more than 300 undergraduate and postgraduate courses and a variety of research opportunities through its distinctive schools. We also offer a range of distance and online learning courses. The University is truly a global learning community with more than 120 different nationalities represented among 19,000-strong students population. Our academic staff are also drawn from a wide range of countries and backgrounds. We offer a tolerant, multicultural learning environment and a safe, comfortable place to live at our waterside Docklands Student Village. • Studying/Living in London – The University is located in London which is UK’s most exciting and cosmopolitan city that offers excellent cultural and social opportunities. London is home to over 100,000 students from 200 countries. • Impressive facilities – The University offers exemplary teaching and learning facilities. UEL has been ranked among the top universities in the UK for investment per student in facilities. • Broad portfolio of programmes – A comprehensive range of undergraduate and postgraduate programmes have been designed to meet the academic interests and career expectations of students. • Subject expertise and teaching excellence – UEL has been awarded the highest possible rating for ‘Quality of study programmes and academic standards of the degrees’ by UK government’s Quality Assurance Agency. • Research intensive – UEL has been rated among the top 10 UK universities for research. The University offers an active research atmosphere for students. • Specialist support services – The University of East London is one of the only three UK universities that hold the UK government’s Charter Mark award in recognition of excellence in customer services. • Scholarships for international students – UEL takes pride in offering a variety of scholarships to international students with excellent academic qualifications that range up to £4,000. • Ranked No. 1 in the UK for inclusivity – The University of East London is one of the most inclusive universities in the UK with a diverse student population coming from different cultural, social, religious and ethnic backgrounds. • Active Alumni network – UEL’s vibrant alumni network helps international students to stay in contact. Current in-country international alumni groups organise social activities and also provide good career networking opportunities. • Free international orientation programme – The International Office offers a free programme to welcome new international students to London and UEL. 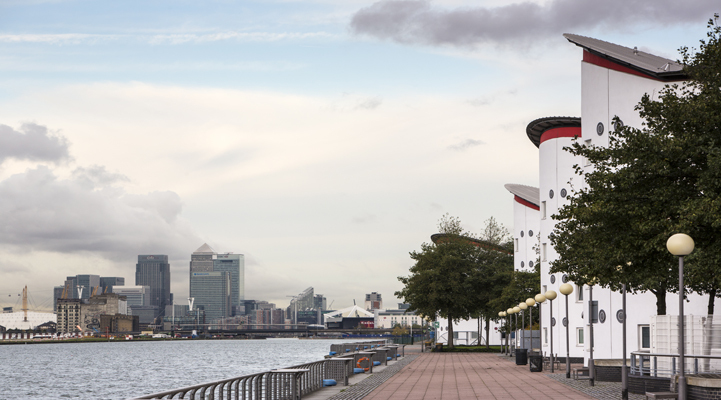 The University of East London has campuses in Docklands and Stratford. University Square Stratford (USS) is a new education hub in the centre of Stratford. A joint venture between the University of East London (UEL) and Birkbeck, University of London, it provides a new campus for 3,400 students. 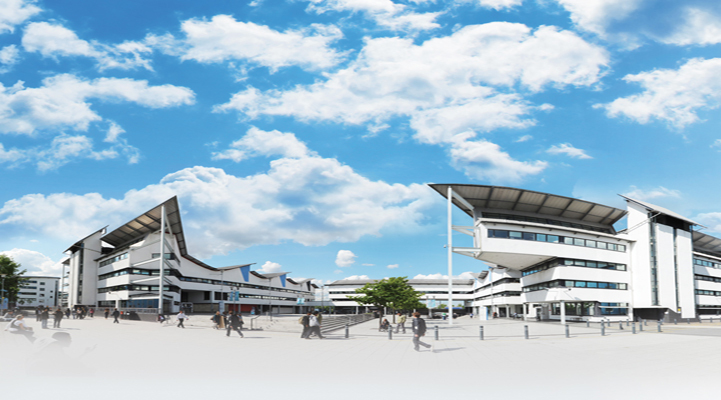 The campus is London’s newest and one of its most modern and well-equipped campuses. It provides a new home to UEL’s students studying on degrees including law and criminology, dance and performing arts and MBAs. Library and Learning Services has Library and Learning Centres at the Docklands and Stratford campuses and one at the Duncan House. The multimedia libraries are equipped with almost all the facilities and resources. Specialist support is provided through a team of subject librarians. We’re proud that, according to recent statistics, 87 per cent of our students are either in work or undertaking further study within six months of graduating. Our Careers and Student Employability (CaSE) team offers a range of services and initiatives, they work with employers across all sectors to offer programmes that are employer endorsed and student-focused. UEL Sports caters to students who want to keep fit, participate in recreational sport or enjoy competitive sportive action. Sports clubs at the University are broadly categorized as British University and College Sports (BUCS) clubs and Development Clubs. A wide range of sports facilities are available at the Docklands and Stratford campuses. The University’s Residential services offers accommodation for both undergraduate and postgraduate students ranging from en-suite rooms in shared flats to studio apartments. The University offers on-campus accommodation at the Docklands campus Student Village. Facilities at the halls of residence include two bars, a refectory, a coffee shop and a fitness centre.